Science, or Knowledge more generally, has always had a special status in the Islamic culture. As Abdus Salam, the Physics Nobel Prize winner, often reminded people, some 750 verses of the Qur’an describe the natural world, referring to the Creator and our existence; in contrast, less than 250 verses instruct Muslims about various actions in their lives. 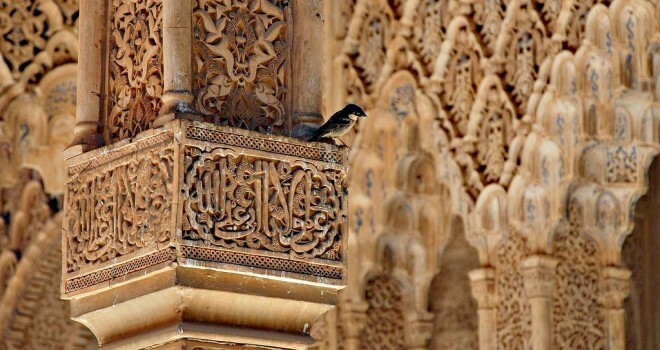 During its Golden Age, the Islamic civilization produced countless first-rate thinkers and researchers, leading to seminal scientific developments and contributions over many centuries. Muslims generally insist that no conflict arose then between Islamic theology and Science’s results or methodology. This typical, widespread, and instinctive reaction, does not address modern science and the challenges it has brought to the Islamic and, more generally, theistic worldviews. Indeed, modern science imposed new principles (methodological naturalism, in particular) and brought about new theories (biological and human evolution, most notably), which the Muslim culture has found difficult to mesh with its traditional worldview. Sacred Science, Seyyed Hossein Nasr’s version of “Islamic Science”, represents his objection to modern science’s adoption of methodological naturalism, which he regards as a severance of science’s old link to the divine (Nasr, 1989, p. 132). Most notably, he denies any universality to modern science (Nasr & Iqbal, 2007, p. 181) Furthermore, Nasr asserts that modern science fragmented the integrated world-picture of the traditional worlds, debased humans and corrupted nature, which he sees as sacred in Islam, the cosmos being, according to him, a unified realm of material and spiritual beings (Kalin, 2001, p.454). The “Islamization of Knowledge/Science” school which was launched (independently) by Ismail R. Al-Faruqi and Syed Muhammad Naguib al-Attas and carried forward (after Al-Faruqi’s death) by Taha J. Al-`Alwani (Al-`Alwani, 2004). This school purports to rewrite the whole human corpus of knowledge, including science and technology, in accordance with Islamic bases. “Islamic” (Ethical) Science: Ziauddin Sardar and his now-defunct Ijmali school/group put strong emphasis on the ethical dimension that he/they saw as missing in Modern Science, hence rendering it unacceptable (Anees, 1984; Sardar, 1989, 2006). Most importantly, he/they put more importance in the social relevance of science than in its epistemological objectives. They insisted that Science be reconstructed – for all of humanity – along Islamic principles, such as: Tawheed (Divine Unity), Khilafa (human trusteeship of Earth), `Adl (Justice), Maslaha (Public Interest), etc. Science is universal, that it does not suffer from the “serious flaws” that Nasr, AlFaruqi, Sardar, and others claim, and that it therefore requires no “Islamization”; only its interpretations and applications can be colored by culture (Abdus Salam, 1987, p. 201). As he simply put it, “There is only one universal Science; its problems and modalities are international and there is no such thing as Islamic Science just as there is no Hindu Science, no Jewish Science, no Confucian Science, no Christian science” (Hoodbhoy, 1991, p. ix). From the brief review of the contemporary Muslim thinkers’ positions w.r.t. modern science that I presented above, the problem – and to some extent the solution – become readily apparent: on the epistemological level, modern science’s methodological naturalism poses difficulties to the traditional Islamic worldview, and on the praxis front modern science’s absence of strong ethical constraints fuels its opponents’ objections. On the other hand, the great successes of modern science in many fields (particularly physics, astronomy, and biology) leaves little choice to the (objective) reviewer but to take its results, and probably much of its methodology, solidly on board. Rejections of major scientific theories, such as biological evolution and cosmology’s “big bang” (“theories” here being understood as major agreed-upon frameworks of laws and results that have established themselves), as strongly and openly expressed by Muslim thinkers such as Seyyed Hossein Nasr, are not a viable option. The evidence supporting those theories and many others in modern science is much too strong for any such rejection. Of course, any scientific theory remains open to modification and improvement, but the major results in those fields can only remain and be considered as established. No biological theory will be constructed in the future (even centuries from now) that overturns evolution. Likewise, the major elements of modern cosmology (size and age of the universe, its expansion, the interactions of matter and radiation, the evolution of elements and structures, etc.) will remain true, no matter what cosmological theory will dominate in the twenty-first century or in the thirtieth. Consequently, the first reaction of Muslims w.r.t. modern science is to accept all its established results and general theories. Once this is clear and settled, one can move on to the two issues that are open for review and interpretation, namely first the possibility of adopting a theistic framework or interpretation of the modern scientific enterprise, and secondly a strong affirmation of the ethical principles that must be adopted (or even imposed) to the practice of science, lest it lead to disasters such as those that we have already witnessed (nuclear bombs) or those that may very well occur in the future (e.g. genetic engineering with horrific consequences). In formulating a general Islamic framework for dealing with modern scientific and technological developments and the ethical issues that often arise from them, one must first stress that the Qur’an is not a book of science; its objective was/is not to describe the world, nature, and the cosmos, but rather to guide humans to a balanced life (balancing the spiritual with the physical, the psychological, and the social dimensions of humans). There are, of course, hundreds of verses in the Holy Book, which point to nature and its phenomena, but the intention behind these verses goes beyond the descriptive to the meanings and the morals that are to be extracted from them. Furthermore, holy books are texts, and they are hence subject to interpretation; in contrast, science strives to reach objective results and descriptions of nature. The second major critique that a number of Muslim thinkers have leveled at modern science is the absence of any strong ethical constraints in the scientific praxis. Following Sardar and the Ijmalis, I urge that stringent ethical standards, like those of Islam, be universally imposed on scientists and the whole scientific enterprise in order to prevent dangerous slips, such as I mentioned earlier. The Quran’s guidance and philosophy of knowledge can help in this regard. Now, the idea that the world is well designed and made adequate for humans is both old and ubiquitous among many cultures, including the Islamic one. This “design argument” did suffer serious blows in the wake of the Copernican and Darwinian revolutions, but contrary to the elites, laymen overwhelmingly continued to believe that humans are special and that Earth and perhaps the universe were designed (directly or indirectly) as cradles for humanity. Indeed, after Copernicus revolution, which removed Earth and humans from the center of the universe and the formulation of the “principle of mediocrity” (that we must consider Earth and its inhabitants as nothing important at all in the cosmos), it came as a shock to the (western) elites to realize that the universe instead of being completely oblivious to humans, was in fact particularly suited for life, consciousness, and intelligence. Secondly, it was no longer a matter of seeing beauty and harmony in nature, nor even a set of smart observations such as the temperature, pressure, gravity, and environment of Earth being “just right”6 for our existence and activity; it was now a question of the very foundations of the universe, the parameters and physical laws upon which everything was built, all of which were found, time after time, case after case, to be finely tuned to the existence of life in general, and higher intelligence and consciousness as well. In the same line of thought, the contemporary Muslim philosopher Jaafar Sheikh Idrees sees in the harmony that exists between the many creatures of the world one argument for the existence of God. He adopts Al-Kindi’s and Ibn Rushd’s argument of providence or benevolence (dalil al-`inayah)7. He supports his view with the following Qur’anic verses: “Have We not made the earth as a wide expanse? And (set) the mountains as pegs? And (have We not) created you in pairs? And made your sleep for rest? And made the night as a cloak? And made the day as a means of livelihood? And (have We not) built over you the seven strong (heavens)? And placed (therein) a shining lamp? And do We not send down from the clouds water in abundance, That We may bring forth therewith grain and plant, And gardens of luxurious growth?” (78:6-16) Idrees notes and stresses the finalist intentions in these verses, seen most clearly in the pronoun “That” (“That We may…”). Modern astronomy has also provided evidence for the special characteristics that Earth displays: having an orbit around the Sun within the “Habitable Zone” (the region of space around a star where life can exist); having an inclined axis that allows seasons to occur and life to prosper through cycles; having a large Moon, which keeps Earth’s axial stable and helps life by raising Earth’s ocean tides, mixing nutrients from the land with the oceans, etc. ; having a Sun with just the right size; etc. This brief review of modern science and its principles and the recent discovery of the finetuning of the universe and its extraordinary predisposition to life, intelligence, and consciousness may (at first sight) seem not very relevant (at least not directly) to the topic of ‘Islam and Biomedical Ethics’. But the reason for this review is to help formulate what the CILE document calls “a holistic paradigm” that will (hopefully) allow Muslims to move beyond the “reactionary attitude” that has dominated the field of contemporary Islamic bioethics. Indeed, until we develop a philosophy of nature, life, the cosmos, and humans’ place and relation to it, we will keep on having to react to new developments that will challenge our limited traditional views; indeed, these traditional views were not built on a larger worldview that takes modern scientific discoveries and paradigms fully into consideration. If we find difficulties and disagreements in discussing stem-cell research and its applications or genetically modified foods and organisms, how are we to handle much more challenging topics such as “synthetic life”9 (sometimes referred to as “artificial life”), animal “deextinction”10 projects (bringing back dinosaurs and other animals, and perhaps in the future dead humans), technologically modified or “augmented” or “enhanced” humans11 (sometimes referred to as “transhumanism”), and even “immortality”12. The definition of life itself is being seriously impacted, with implications on “beginning of life” and “end of life” issues (from conception, abortion, to euthanasia). My main idea is that Muslims must take full consideration of the integrated paradigm of the cosmos that has emerged from modern science: our existence cannot be dissociated from that of the rest of life on Earth and its history, and this cannot be viewed separately from the natural elements that surround us and relate to us. After all, we are made of the same elements as Earth, and our DNA is based on the same biochemistry as that of the rest of life on Earth, including plants and animals. In fact, we now know that many other animals have intelligence (sometimes quite advanced), some of them have language (not nearly as sophisticated as ours, of course), some can make tools and build things, some have family structures and express sadness when one of theirs dies, etc. Clearly this must affect our view of animals, at the very least, and life more generally. This also should give a new, grander understanding of the “Preservation of Life” principle of Maqāsid al-Sharī`ah. Scholars13 see the theory of Maqāsid as having roots in the Islamic rational theology and law that was produced by the Mu`tazila, since one of the prime principles of this school, namely divine justice (after divine unity) necessarily implies divine goodness in the laws that God would institute for humans. Furthermore, the earlier development and establishment of qiyās (juristic analogy) and istihsān and istislāh (rulings that are based not on sacred texts but rather on some clearly discerned benefit to the individual or community) as principal methods and principles of Islamic jurisprudence paved the way for the development of the Maqāsid theory. The principles of the theory of Maqāsid are well known: a) the whole Sharī`ah aims at benefiting mankind (in this world and the next); b) behind all laws are rational principles that can be inducted; c) the laws are not objectives in themselves, they can be transcended in cases where their strict application leads to problems while the objectives can be better fulfilled in other ways. I believe that the principles of Maqāsid (including but not limited to “the preservation of life, mental faculties, linage, etc.”), coupled with a renewed and enlarged worldview that is based on a thorough understanding of the universe as revealed by modern science, can help us Muslims formulate a holistic and proactive ethics system that can be applied to or meshed with the emerging and challenging fields of biological and informational technologies. Principle” Oxford University Press, 1986, p. vii. “The Mind of God”; in 1995 he was awarded the Templeton Prize for Progress Toward Research or Discoveries about Spiritual Realities. 3 Paul Davies, “The Goldilocks Enigma: Why is the universe just right for life?”, 2006. 6 Barrow and Tipler (op. cit., p. 143) make a special reference to the two seminal books by Lawrence J.
Henderson (Harvard professor of biological chemistry), “The Fitness of the Environment” (1913) and “The Order of Nature” (1917); indeed, Henderson had noted the very special regulation of acidity and alkalinity in living organisms; CO2 dissolved in water is the regulator of neutrality, and water is absolutely unique as a regulator and conductor of heat (having a very large specific heat capacity and conductivity), in its surface tension, in dissolving other substances, and in many other properties. Methods in Islamic Doctrine”, translated into English as “Faith & Reason in Islam”), cited by Marc Geoffroy, op. cit., pp. 139-140. 8 Jaafar Sheikh Idrees, “Al-Fizya’ wa wujud al-khaliq” (Physics and the existence of the Creator), 2nd edition, Al-Muntada al-Islamiy, 2001, p. 55. 10 See, for instance, the Lazarus Project, which is conducted at the University of Newcastle, Australia, and which was named as one of the Top 25 inventions of 2013 by TIME Magazine. http://www.augmented-human.com/; Report from the workshop on ‘Human Enhancement and the Future of Work’ of the Royal Society, the Academy of Medical Sciences, British Academy, and Royal Academy of Engineering (March 2012): http://royalsociety.org/policy/projects/human-enhancement/workshop-report/. 13 Gleave, R. M., “Makāsid”, Encyclopaedia of Islam, Second Edition. Edited by: P. Bearman, Th. Bianquis, C.E. Bosworth, E. van Donzel, and W.P. Heinrichs. Brill, 2008.